The Club extends its sympathies to the family and friends of Sean 'Yank' Murray. We thoroughly enjoyed your company at our 2008 50th anniversary function reembering the team of 1958 and you will be sadly missed by all Dublin supporters. Ireland lost a true sporting hero today. Jim Stynes finally succumbed to cancer after a long gutsy public fight with the disease. The only player recruited outside of Australia to win the Brownlow medal he is a member of Melbourne's Team of the Century. His humble approach in dealing with the disease and the attention he brought to help fundraise so that others in the future wouldn't suffer was an inspiration to us all. A proud Dub he was there in the crowd on College Green in '95 as an ordinary fan supporting his brother Brian and celebrating All Ireland success. 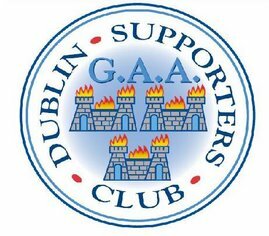 Dublin GAA Supporters send our condolences to Samantha, Tiernan & Matisse, along with brothers Brian & David. Jim isn't sitting in the stand in Heaven. 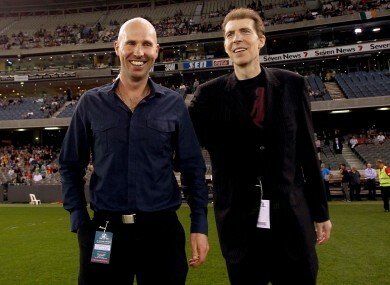 He is there playing ball with that big smile for Melbourne in the 1st half and Dublin in the 2nd. The Club is running a bus to the NFL game in Laois on Saturday 03 March. Seats must be booked in advance by phoning 8403078. Prices - Adult Members €15, Juvenile Members €10. A €5 additional charge will be made for any non-members travelling. The bus will leave Parnell Square at 16:30 and will travel straight through to Portlaoise. The bus will stop neither on the way to nor the way home from the game. Seats must be booked in advance and can only be booked on the telephone number above.